When the first Apple iWatch launched, there was speculation all round on whether it would make a dent in the high-priced Swiss watch industry that prizes itself on being an exclusive club that dictates official production standards, increases prices every year and guards its technologies closely. Initially the big watchmakers said smartwatches would actually help their cause by getting millennials to upgrade to mechanical watches. Later that turned to a note of caution when 2016 saw Swiss watch exports drop by almost a million units to 6.9 million watches — almost the same as 2012-levels, according to the Federation of the Swiss Watch Industry. Experts and company CEO’s alike concurred that smart-watches had their limitations: smartwatches like Apple’s would have to be recharged and would undergo multiple software updates and new versions and like most electronic gadgets would eventually become obsolete. Furthermore, there’s little investment-grade value with smartwatches nor do they have individual style quotient unlike handmade Swiss time-pieces. Despite the shifting landscape, one the part of the industry that’s held its own has been vintage watches, with prices for models that are at least 40 years old, escalating steadily. Imran Khan, partner at well known watch house a retailer that’s been around since 1955 years, is located on Kemps Corner says that watches like the Omega Dynamic could be purchased for well under Rs 10,000 a decade ago. Today, you won’t find one in poor condition for under three times that amount, he adds, noting that vintage buyers typically look for the same thing they look for in art. “Customers want some kind of connection with the Moon Mission, space travel, historic sporting events and typically which was made in the 1970’s and maybe their birth year” Khan says. Sales channels are crossing over to digital from exhibitions, the marketing is shifting Online. Even as newer watches grace billboards worldwide and launch products on the web, leading auctioneers like Aurel Bacs continue to repose their faith in vintage Rolexes, as his auction house Phillips conducted an event on the 12th of May called Daytona Ultimatum with a view to selling a batch of 32 mostly vintage chronographs called Daytonas which realised $22.1 million with five watches crossing the $700,000 marker. Just recently, in October last year Hollywood actor Paul Newman’s personal Daytona had gone up for auction at a Phillips event and sold for a record-breaking $17.75 million, making it the single most expensive vintage watch ever sold. What’s with Rolex and its undisputed stranglehold on vintage prices and value appreciation? Aashdin Billimoria a Mumbai-based collector who also runs Time Boulevard, an e-commerce platform that deals in watches says, “Rolex is currency not a watch; you’ll always get your money back and you can’t say the same for other brands.” Subrata Roy, a Kolkata-based dealer and collector agrees with Billimoria. 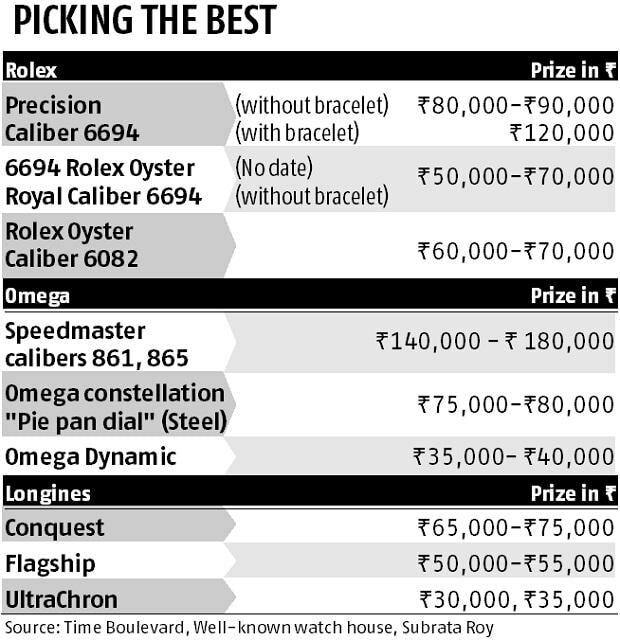 “In 1980 you could buy a brand new 6694 Rolex Precision for Rs 4,000. 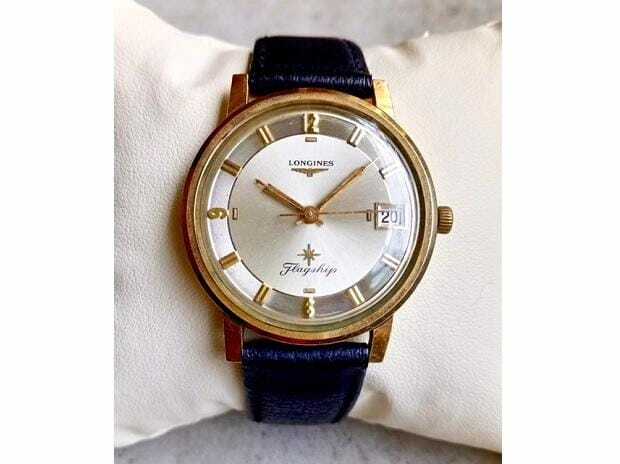 Then in 2000, the same watch cost Rs 40,000, and today in good condition with all original parts its priced at Rs 120,000 and can cross Rs 2 lakhs abroad,” he says. What exactly do collectors come asking for? Khan says “its the usual suspects — Omega, Rolex, Longines, and on odd occasion a ladies Cartier for their significant other.”These are typically the labels that had sales offices in India before and shortly after independence and were popular in the metros.